Pest management in healthcare and pharmaceutical facilities differs from other institutions. A cautious policy needs to be adopted concerning the use of pesticides in hospitals due to the effect these can have on patients in various stages of debilitation and convalescence. The use of any pesticides establishes a risk of uncertain magnitude, said Mohammad Arif Hussain, entomologist, Masa Establishment for Pest Extermination, Maintenance & Contracting. 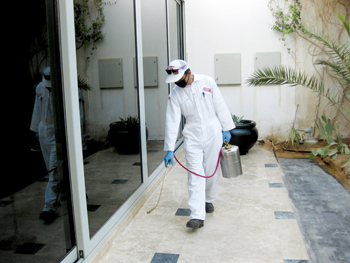 Saudi Arabia-based Masa Establishment offers professional and reliable pest control services to pharmaceutical and healthcare facilities. Its services are delivered by its expert team of highly skilled pest control technicians and are tailored to each individual property and a business to ensure best possible results are attained. “Our expert team holds detailed discussion with the involved facilities management prior to starting any work to establish the required frequency and level of service that is required. 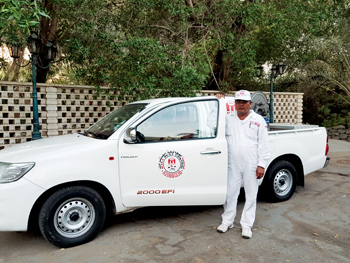 “Our teams are equipped to successfully combat any pest control issue and will provide businesses with a central point of contact to ensure that they can reach us whenever necessary,” Hussain assured. According to him properly designed and well conducted pest management programmes for specialised situations must include the same basic steps: inspection, treatment, communication and continuous follow-up. It is particularly useful to have a professional approach during the design and implementation phase of a pest management programme in health care facilities. The important point is that professionals should carefully step back from the structures involved and consider all aspects of the construction, operation and surrounding environment that can contribute to ongoing pest problems or represent difficulties toward gaining acceptable pest management results. This should include the details of interior construction, such as layout of plumbing or ventilation system; the flow of food or other supplies into and through the facility; the possible effects of exterior lighting, landscaping, or adjacent properties; the potential for the introduction of pests, such as cockroaches, via people flow into the facility; and any other contributing factors, Hussain explained. 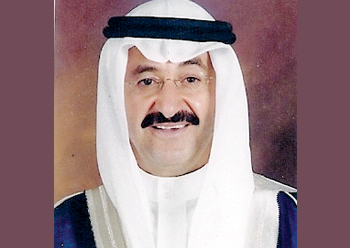 Hospitals are exceptional in their structural and organisational complexity, he said. The plumbing, mechanical such as heating, ventilation and air conditioning (HVAC), and electrical systems are important aspects of the physical or structural complexity of a large hospital. However, many different departments and layers of administration also interact within the hospital. These include the various administrative groups; housekeeping and sanitation (including laundry care); food services; different medical departments, and a separate infection control group. Attention should be paid to the plumbing system to find and eliminate sources of moisture (leaks, sweating pipes, clogged drains, etc.) that can encourage breeding of cockroaches and various types of flies and ants, which can use the plumbing system to spread throughout the facility. Caulking and other techniques can be used to limit the spread of these infestations. Pests can come in through food deliveries so storage areas require constant monitoring and attention. Kitchens, cafeterias, employee recreation rooms and vending machines are some other food related areas and facilities inside hospitals which are possible ground for pests and need to be monitored, he advised. Some pests which are well adapted to the hospital environment are cockroaches, ants and rodents, flies such as drain flies, hump backed flies, vinegar or pomace flies. House flies and other filth flies are more commonly encountered in hospitals than in nearly any other type of pest management situation. In part, these fly problems are so frequent because of the complex plumbing systems typically found in hospital premises, Hussain said. Fly control should be a matter of searching out the source of the flies, which is usually some source of moist food where the larvae are developing. This source should be cleaned up, and steps should be taken to prevent it from recurring. The use of insecticide sprays in ongoing fly control should be avoided, and devices such as ultra violet light traps should be used only to intercept flies or other flying insects entering exterior doors. Fly entry via doorways used by visitors is usually prevented by the use of positive, outward airflow at entry ways. It is often difficult to maintain German cockroach control in employee locker room areas. These areas are generally not kept as clean as they should be and employees often store food items in their lockers, Hussain said. Intensive care and kidney dialysis rooms will often have chronic German cockroach and ant problems, he cautioned. The intensive care and surgical units are also critical for fly problems because absolutely no flies can be tolerated in these and they tend to have lot of floor drains and sinks. In general, the use of baits and traps is permitted along with some very discrete spray or dust applications. Finally, loading docks and garbage or trash disposal areas are hotspots for flies, cockroaches, rodents, and many other pest problems. The Integrated Pest Management (IPM) programme at MASA uses a comprehensive pest management strategy that strives to find the best pest control solution with minimum impact on human health and the environment while educating the MASA operational community on how to limit and prevent unnecessary pest problems. Pests seek habitats that satisfy basic needs such as food, water and shelter, Hussain said. “A successful programme depends on the client and Pest Control Operators (PCOs) working together to establish an environment that limits harborage areas, points of entry and conditions that attract pests,” he added. Explaining the significance of IPM, Hussain said: IPM is based upon regular inspections, accurate identification of pests and of the specific area actually infested; it prevents pest problems by eliminating pest habitat, and access to food, water and other essential needs; IPM requires that you decide when the pest has become intolerable; zero tolerance may not be necessary for every pest; it responds to pest problems with mechanical, physical and biological controls, and resorts to chemical controls last; and IPM requires an evaluation of the toxicity and exposure potential associated with any pesticide to assure that the alternative used has the lowest toxicity and lowest risk for unwanted exposure. With 38 years of experience, Masa Establishment, has gained a stronghold in the pest control industry by strict observance and maintenance of high-quality service. Its staff is trained, certified and insured for this particular kind of work. Furthermore, it is a member of 13 international pest control associations and exerts every effort to boost public awareness of the pest hazards in any premises and urges the public to cooperate with a professional pest control operator to maintain a healthy environment.